Eddie Nuñez, who took over UNM’s athletic department last August, and the university’s president published a letter to the school’s athletic website addressing the report. Local newspaper The Santa Fe New Mexican reports that Nuñez hired an independent consulting firm for the report earlier this spring. 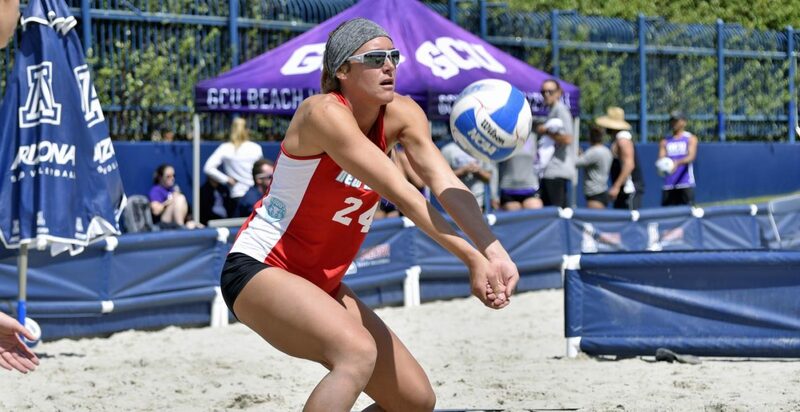 New Mexico added beach volleyball in 2015, which brought the school into temporary Title IX compliance, giving them a four-year window to upgrade infrastructure. But the New Mexican reports that the school’s athletic department is struggling with its own budget, and would have trouble finding at least $1 million to build an on-campus Division I-quality facility. In the report itself, beach volleyball is named as a potential sport for elimination because of its lack of playing and practice facilities. The Seattle Times reports that the school has 22 varsity intercollegiate sports teams, 12 for women and 10 for men. But as of 2016-2017, participation in athletics for the university was at 317 men and 247 women. Recommendations have called for roster size reductions to men’s and women’s track. The New Mexican reports that another option on the table is restructuring scholarships between programs to create better gender equality. But that option is difficult, the newspaper says, because the school’s football team receives more scholarship money ($2.93 million) than all of the school’s women’s sports combined ($2.83 million).